Digital publishing remains a hot topic for publishers who are still trying to figure out how to make it work and more specifically, how to monetise their content digitally. Even though print continues to be the most profitable source of revenue for most publishers, digital has seen a massive increase in mobile usage, providing the opportunity to further monetise content and grow reader engagement. Transitioning gradually with the experimentation of digital does not only provide more revenue streams but also grows readers engagement. Digital media including mobile now accounts to nearly 49.6% of all media time according to eMarketer and 90% of all mobile time is spent in apps. 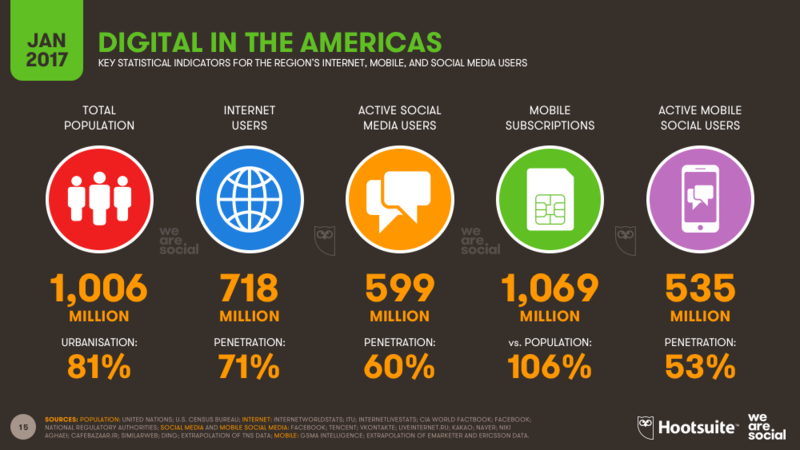 Social media platforms HootSuite and We Are Social have produced some great visual statistics to show the growth of digital globally (special report). D. Eadward Tree, the pseudonumous magazine-industry insider from Dead Tree Edition, shares his thoughts on Facebook's recent news feed algorithm changes and on the importance for publishers to react to this and use it as an opportunity to grow engagement on their own digital platforms. “Responsive is probably the right way to go, if possible and economically viable. If you can manage content via a single workflow through responsive app templates, great – don’t be afraid of simple templates that look great on phone and tablet. The key is user experience as opposed to intricate and overly clever designs. Great design is simplicity, especially on the iPhone. There is opportunity but it’s very difficult. You’ll only make money if there’s an audience for your content on digital platforms and if you can market it effectively, continuously. Which is obvious but true. So do your research and make sure there’s a market before you invest anything. Start small and work bigger. Keep your costs under control all the time and only invest what you can afford to lose. Once you’ve found there is a market, push discoverability and installs through App Store Optimisation (ALSO, if you have no budget – it’s the SEO of the App Store) and via PPC to targeted audience segments on key social platforms (if you do have budget). Invest in keyword bidding and search on the App Store if you have money but again, always start small and monitor progress. Don’t be afraid to bid on your own brand and competitor keywords. Conversion has a long tail, so don’t give up if you don’t see massive success after three months. This is a long-haul thing – there are unlikely to be any quick wins. You’re going to have to work at it and keep working at it and manage it continuously. Otherwise you’ll fail. Install push priming and analytics SDKs in your app. Get an attribution SDK in it to understand where your users are coming from. According to Bauer Media’s Head of ePublishing, launching an app is only the first step to becoming a successful digital publisher. Marketing the app is of extreme importance and if you don’t do it effectively or monitor your KPIs you can quickly waste a great deal of effort and resource. What are your thoughts on responsive publisher apps and is there opportunity for publishers to monetise their content? “Start by building direct relationships with your audience. This can be through email newsletters, apps or web pages for registered users. Too many publishers have surrendered those direct relationships to social media platforms. It’s time to take them back. With relationships in place its possible to use audience data and research to develop and market niche products that the audience will pay for. Added value through specialisation, or even personalisation, will be a huge revenue driver for digital publishers in the future. "Paid content. Whether it’s paywalls like the one Wired has just introduced, memberships like the Guardian or De Correspondent, or premium reports like BI Intelligence, it’s all about creating value that people will pay for. Establishing a paid relationship with audiences will be key for publishers in 2018." According to Bauer Media’s Head of ePublishing, launching an app is only the first step to becoming a successful digital publisher.